Rat Bite: Do Rats Really Attack You? Normally, rats would do anything in their power to escape a huge living being that is looking at them. Unless they’re domesticated, rats are afraid of humans. But if there is no way to escape, a cornered rat would not hesitate to attack a human. For example, the black rat is capable of jumping 70cm into the air. It can climb on a wall and jump on your face. If captured, it will squeal and try to scratch and bite. Hantavirus Pulmonary Syndrome. This viral disease is the most common serious infection a human can face after contact with rats. 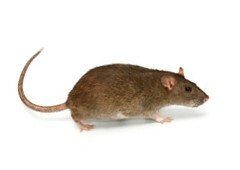 It’s spread through rat bites and scratches but the most common ways are through rat faeces and urine, including pathogens that got transmitted through dust. Rat-bite Fever. Another disease transmitted through a bite, scratch or contact with a dead rat. It causes high fevers, shivering, headache, and joint pain. Salmonellosis. This disease can get into your system by consuming food or water contaminated with rat faeces or urine. Leptospirosis. A bacterial disease that can be transmitted by coming in contact with contaminated water. There’s a higher risk for infection for people who work with barn animals. The Plague. Thankfully, modern medicine has a cure for this disease but it still exists and it’s still deadly. While rats aren’t the direct carrier of the pathogen, they might carry fleas in properties, which are the main culprit. What are the Symptoms of a Rat Bite? A weeping, pus-filled wound (sign of a secondary infection). Nausea, vomiting, diarrhea, and abdominal pain. Complications may lead to infection of the heart, pneumonia, meningitis, hepatitis. What to Do If You Get Bitten by a Rat? Rat bites are very dangerous, so in case you are bitten, you should immediately seek a medical professional. Scratches are just as dangerous because rats tend to lick their paws a lot and the diseases that spread through their saliva are also on their paws. And, since we established that you don’t need to be in contact with a living rat to be in danger, make sure to seek a medical professional if you have doubt that you might have ingested contaminated food or water. Be aware that hantavirus can be transmitted through house dust as well, so even if you haven’t seen a rat, but have an infestation, consult with a doctor regardless. Can You Get Rabies from a Rat Bite? Despite all these dangerous diseases, the truth is there are almost no cases of people or animals getting rabies from a rat bite. It’s not impossible, but it’s very rare. Still, a responsible medic will most probably give you a shot against rabies just in case. Have you found a rat in your home?